Here's the two main charts. Figure 11. 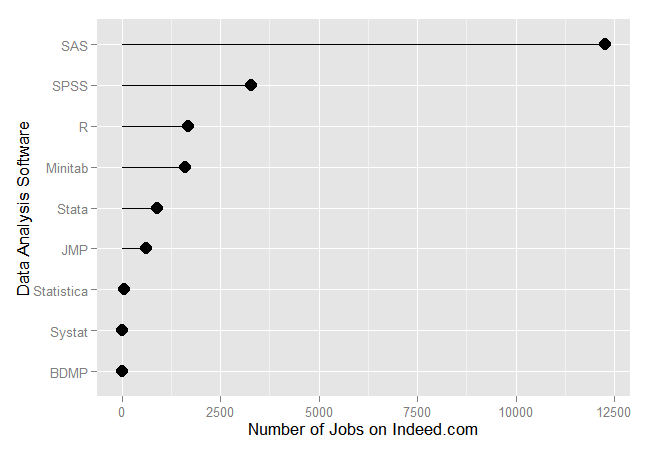 Mean number of jobs per week available on Indeed.com for each software (March 2013). I saw your post on your site, r4stats.com and created a new post, here at Data Science Central too. Let me link my results to yours.